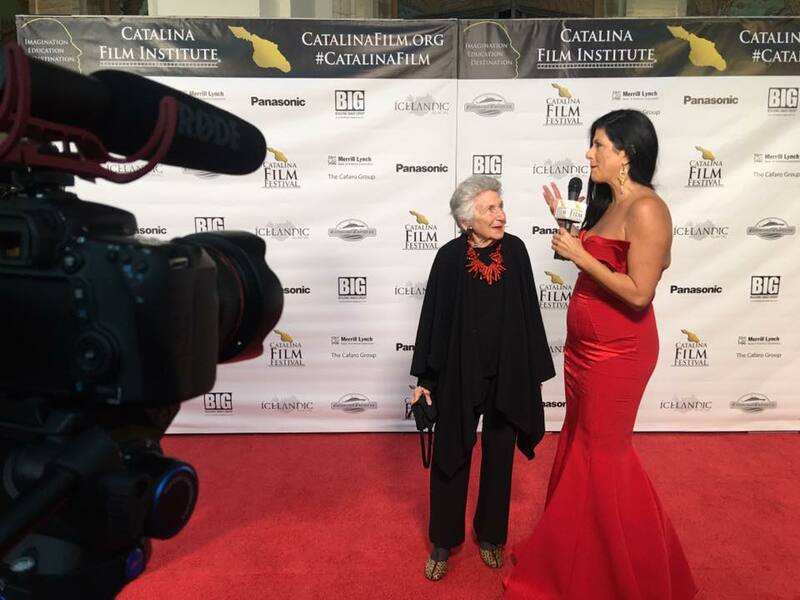 Marcia Nasatir was honored at the 7th annual Catalina Film Festival with the inaugural BREAKING THE GLASS CEILING Award on Saturday, September 30, 2017. 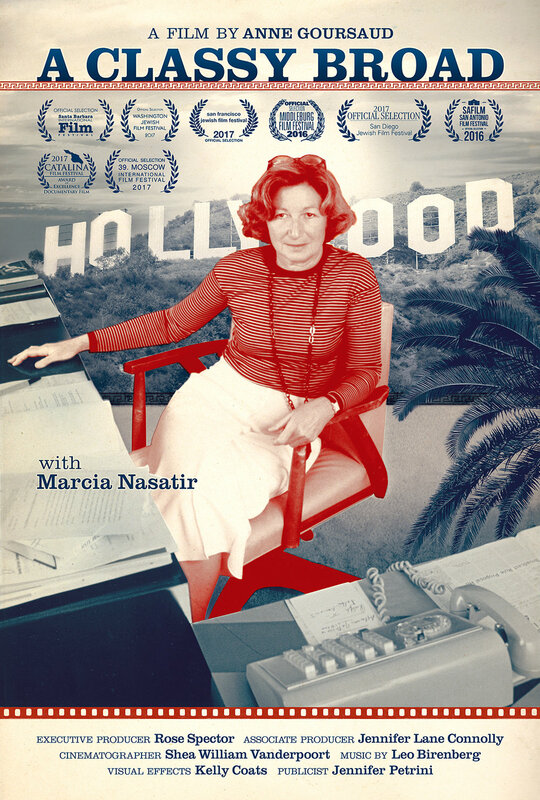 Festival Founder & Executive Director Ron Truppa, along with Co-Founder Delious Tim Kennedy presented Marcia with the award highlighting her many groundbreaking achievements in film and storytelling. (pictured above on red carpet and below) Actress Cady McClain and Tamika Lamison of the Make-a-Film Foundation, moderated by Gena Vazquez of Monte Carlo Pictures. Left to Right: Cady McClain, Marcia Nasatir, Catherine Hardwicke, Tamika Lamison. Marcia pictured with Luke Guldan, actor from ROCKAWAY film. A CLASSY BROAD was an official selection of the festival and screened Sunday, following the Women in Film panel.